Boogie Single Day Tickets and Daily Line-up Announced! 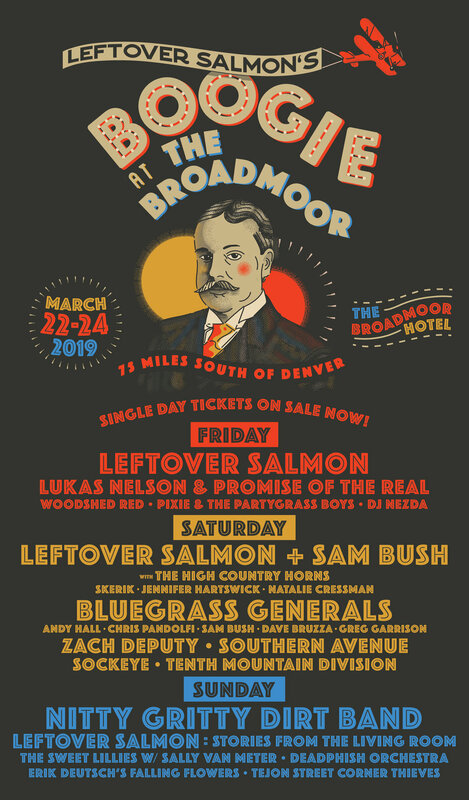 Single day tickets and daily line-ups for Leftover Salmon's Boogie at The Broadmoor have been announced! This will be one very special event at The Broadmoor, a historic Five Star Resort in the Cheyenne Foothills! Calling all Spring Breakers, 50% off!! Living Room Tour Rolls On! Red Rocks 2019 with Blues Traveler and Jackie Greene!